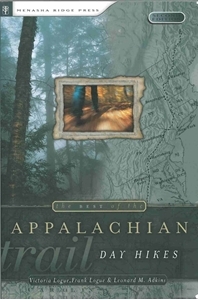 By Victoria and Frank Logue The Appalachian Trail Backpacker is a one-stop guide to preparing for and hiking the A.T. Although primarily geared to prepare and sustain the intrepid thru hiker, the book is also a must-have for anyone who wishes to experience the A.T., whether for an hour or for six months. 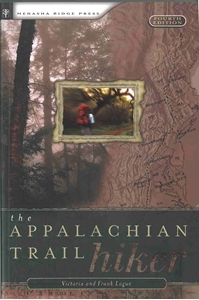 By Victoria, Frank Logue, and Leonard M. Adkins Day hikes in all fourteen states the Appalachian Trail passes through are described in brief, followed by a point-by-point description of the hike and trailhead directions. Hikes range in length from less than a mile to eleven miles. 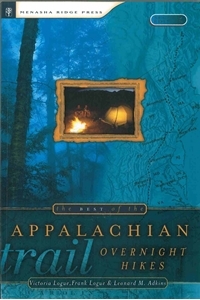 By Victoria, Frank Logue, and Leonard M. Adkins Overnight hikes in all fourteen states the Appalachian Trail passes through are described in brief, followed by a point-by-point description of the hike and trailhead directions.